United Arab Emirates vs Zimbabwe will come face to face in 8th ODI cricket match of ICC Cricket World cup 2015. 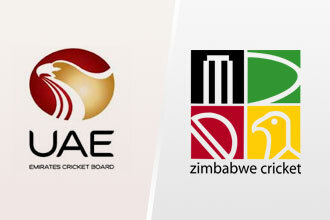 United Arab Emirates v Zimbabwe cricket match will be played on 19th February at Sexton Oval, Nelson, New Zealand. The cricket match between United Arab Emirates and Zimbabwe will be started at 2200 GMT, 1100 local time and 0300 PKT. Zimbabwe vs United Arab Emirates falls in pool B and this ODI cricket match will be interesting as both teams are equal in strength but result of this match will not affect on other teams, as there are very less chances both Zimbabwe and United Arab Emirates to come forward in the next stage of the World Cup 2015. The viewers can enjoy this ODI cricket match of group B through live steaming of the ODI match between Zimbabwe v United Arab Emirates, as various TV channels including Geo Super and PTV Sports will broadcast this match. The viewers can also enjoy the match online through website of PTVsports. This website will provide live score card of cricket match of ZIM and UAE.